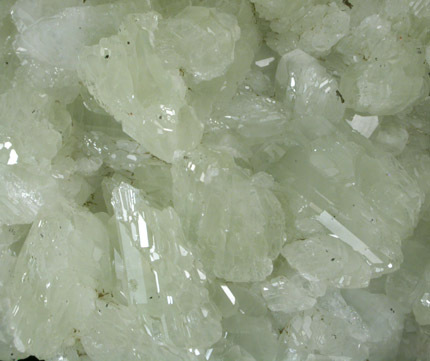 Description: Pocket lined with glassy crystals of datolite with a few microcrystals of pyrite on the surface and spherical goethite inclusions. 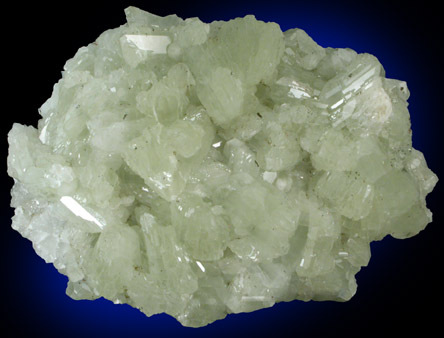 The datolite crystals are yellow-green and vary from transparent to translucent. 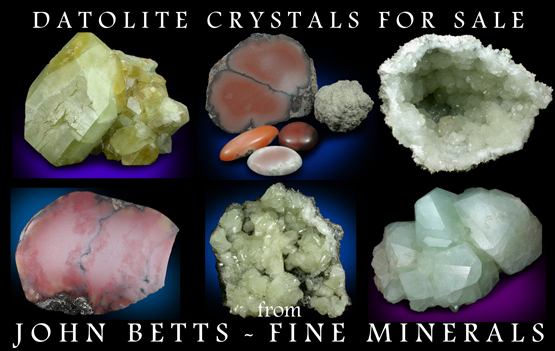 All crystals complete and undamaged.